We present superior quality Rotary Index Table in the national market. 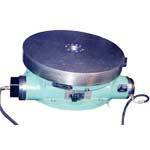 Our CNC Rotary Table is manufactured as per the customized requirement of the valued clients. They are very durable and have long lasting functional life. 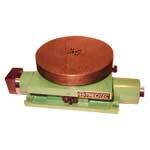 In addition to the above we are the most prominent Hydraulic Index Table Manufacturer from India. Body is made up of high quality grade-30, with properly stress relived casting. Very fast indexing even with heavy loads. Inbuilt adjustable cushioning and flow control for the indexing. Special and SERVO rotary indexing table as per customer requirements can be developed based on quantities.